You may have noticed on the left hand side a new Twitter widget thingy. You can now follow what I'm up to on Twitter, a great way to get interactive and let everyone know what you're doing Click here for a look. 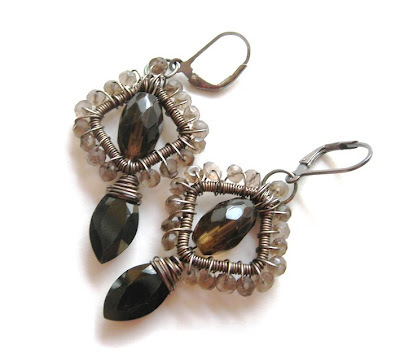 Below are a couple of pairs of wire worked earrings. Practice makes Perfect! 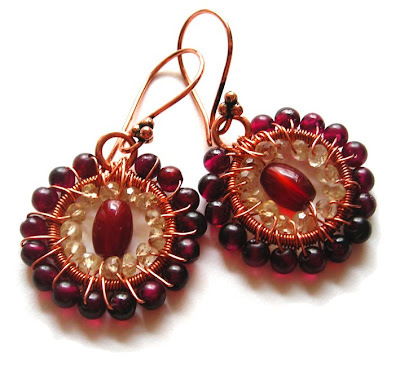 I love the earings Janine, what wire do use apart from copper?